Trampled By Turtles (TBT) is an American progressive bluegrass band from Duluth, Minnesota. Since releasing their debut album in 2004, the band has toured the U.S. with Pert' Near Sandstone, White Iron Band, Charlie Parr, Cracker, Lucero, and The Infamous Stringdusters. 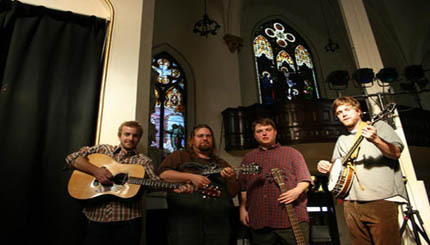 Trampled By Turtles often performs at the 10,000 Lakes Festival in Detroit Lakes, Minnesota.